36 custom, mostly drow portraits for Icewind Dale 2. The author has cropped and edited these out of the comic book art (Forggoten Realms series by Devil's Due), and various other images. 30 mixed male and female portraits cropped from the excellent fantasy artwork of Boris Vellejo and Julie Bell. Mostly suitable for warriors and clerics, with a few exceptions. 6 portraits suitable for Rogues, Rangers, or generally shifty people; the author has cropped these out of the box art images and paintings of Garrett from Thief: The Dark Project and Thief II: The Metal Age. A small pack of portraits of the Voyager stars (3 male and 5 female portraits). 4 portraits more or less made from scratch with msPaint, msPhoto Editor and Adobe Photoshop Elements. 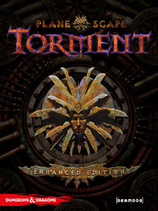 BG2 versions also included. 33 excellent portraits of the movie's Fellowship of The Ring and various other characters. 35 excellent portraits of the movie's various dwarves, elves and men, male and female. Three different portraits of Liriel and one of Fyodor, from the Daughter of the Drow trilogy book covers. A collection of 16 more portraits from the Xena series. These are of various other characters, male and female, that also appear in the series. A pack of 12 portraits of Xena in various different scenes and customes. A pack of 6 LoTR portraits (Aragorn, Boromir, Gimli, Legolas, Gandalf and Frodo). If you play Diablo II at all, you should instantly recognize these portraits (Assassin, Barbarian, Druid, Necromancer, Paladin, Sorceress, Amazon). The author also included the original master pictures with the portraits. Another collection of various fantasy portraits (male and female) and of certain D&D celebrities. A collection of various fantasy portraits (male and female) and of certain D&D celebrities. This pack of portraits includes all BG2 NPC portraits + portraits of Irenicus, Bodhi and Ellesime. A set of 31 portraits close to being adult in nature but not quite there. Mostly female. This selection of portraits is about 70% male. They were collected from various online sources. A collection of portraits, mostly created from various Dragonlance and Forgotten Realms pictures. Another collection of portraits, also mostly created from various Dragonlance and Forgotten Realms pictures. Yet another collection of portraits, this one mostly created from various Forgotten Realms & classical fantasy pictures. Even more portaits, this time mainly portraits made from various fantasy art. Even more portaits, this time mainly female portraits made from various fantasy art. A nice collection of 34 portraits scanned from various Dragonlance and Forgotten Realms books, Planescape: Torment, Baldur's Gate 2 and other sources.